Now you can finally improve your golf skills and be successful in tournaments while having fun. 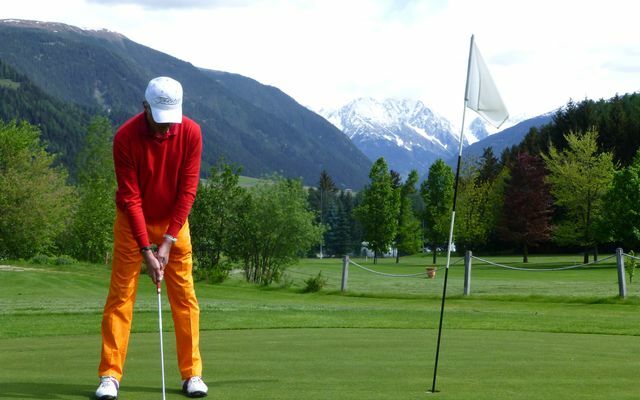 Your game will be analysed on the course, improved point by point and tested based on your handicap, identifying both weaknesses and strengths. 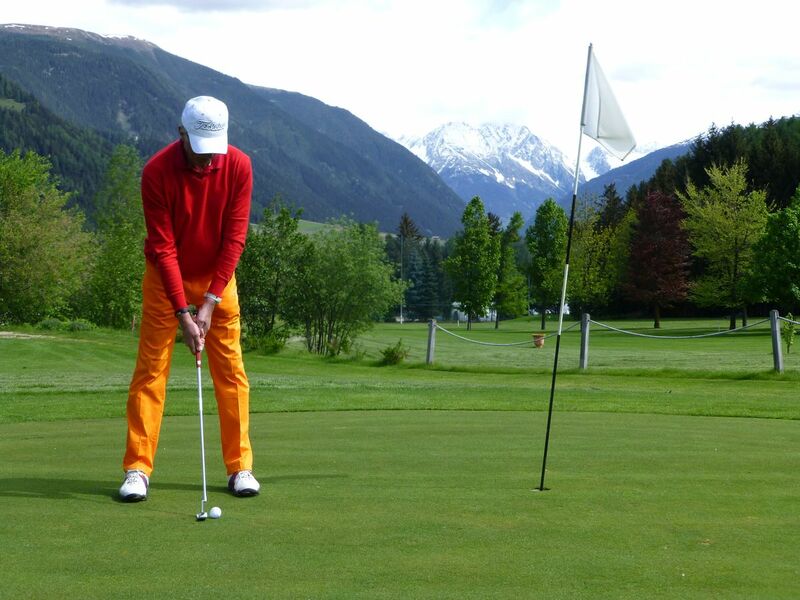 Take full advantage of our PGA Pro’s experience (a European circuit golfer for many years). The services are inclusive for the first 2 adults in the room. The price is valid for the least expensive room and season during the specified period. Depending on room choice and booking period the price will be adjusted. To check availability and prices click on "booking" without completing the binding booking. For all people aged over 14 years, a municipal tourist tax will be charged of 2.10 Euros per person per night. This tax is paid on the spot. All rooms and suites have satellite LCD TV, telephone, internet access, hairdryer, WC with bidet, safe, minibar, wellness bag with towels for the sauna, bathrobes, flip-flops and a splendid view of the valley of Antholz, the Kronplatz or the Dolomites of Valdaora. Our service team will bring you food and drinks in your room (at an additional cost). No discount will be given for meals not consumed. For dogs, we apply a fixed rate of 23,00 Euros, per day (excluding food). We ask you to bring your dog’s blanket and a basket. Please indicate at the time of booking if your four-legged friend will be staying with you. The bookings are considered binding if confirmed via fax, email or by post with Dolomiten Wellness Residenz Mirabell. A deposit of 400 euros is required, per room or suite. The deposit can be paid by credit card (specify number and date of expiry), bank transfer or by means of online account (Click to pay) on our website (any transfer costs are the responsibility of the client). In the case of unforeseeable economic developments or variations to the current VAT rate of 10% and 22%, it may be necessary to adjust the prices. Cancellations are unpleasant – both for you and for us. Please inform us in good time and in writing. Three daily rates will be charged for cancellations that are received between 40 and 14 days before arrival and 70% of the total rate for cancellations 14 days or less before arrival. In the case of delayed arrival or early departure, we charge the total for the booked stay. The cancellation of more than 3 rooms is covered by another cancellation policy. We thank you for your kind understanding. For just €5 per person a day for booked holidays, you can cover all the costs of annulment in the event of accident, sickness or death of the person insured, their children, siblings, parents or grandparents. In low season (yellow season in our bookings calendar), children can stay for free in our rooms and suites up to their 6th birthday.